Can Arthritis Drugs Regrow Hair? At RHRLI we deal with all types of patients who are looking for solutions to hair loss or thinning hair. The most common type of hair loss is Androgenetic Alopecia, often called male or female pattern hair loss. It’s a progressive condition that’s usually characterized by a receding hairline in men or thinning hair in women. But there are other conditions that also lead to hair loss. One of these conditions is alopecia areata, an autoimmune disease that can cause hair loss all over the body. Recent research involving an arthritis drug may give hope to patients that suffer from alopecia areata. RHRLI wants to let you know about this development because we believe our patients should know the facts about hair loss. If you’re looking for a permanent solution to thinning hair you should also know that RHRLI is the only hair loss treatment center on Long Island that has the ARTAS® System, a minimally invasive hair transplant procedure that uses state-of-the-art robotic technology. Alopecia areata occurs when your immune system mistakenly attacks your hair follicles, according to WebMD. The condition causes clumps of hair to fall out resulting in smooth round hairless patches on the scalp or on other parts of the body. In some cases, all of the body’s hair falls out. In most cases, the hair grows back after a few months. About 10 percent of the people who have the condition don’t regrow hair, according to WebMD. But new research indicates that a drug used to treat rheumatoid arthritis can help patients with alopecia areata grow back hair. The study, published in the Sept. 22 Issue of the journal JCI Insight involved a clinical trial of 66 adults who took the drug tofacitinib citrate, according to the Yale News. Among the people surveyed, more than half saw hair regrowth with about a third of those patients seeing 50 percent of their hair grow back. The results came after patients took 5 milligrams of the medication, which is marketed under the name Xeljanz, twice daily for three months. “This study demonstrates the drug is effective for treating alopecia areata,” said Dr. Brett A. King of the Yale School of Medicine, one of the study’s designers. King told CBS News that the medication appears to stop the immune system’s attack on hair follicles. The researchers have also identified genes that could predict how a patient will respond to treatment. It does not appear that the medication will help patients with male or female pattern hair loss grow hair back since that condition is not caused by an autoimmune disease. 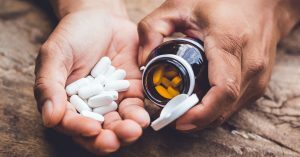 It’s also not immediately known if the hair regrowth that comes as a result of taking the drug will last or how long patients need to take the medication. Patients looking for a permanent solution to hair loss can find it with ARTAS® System, available at RHRLI. The procedure is virtually painless and offers quicker recovery times than other hair transplant procedures. To learn more, contact us today.